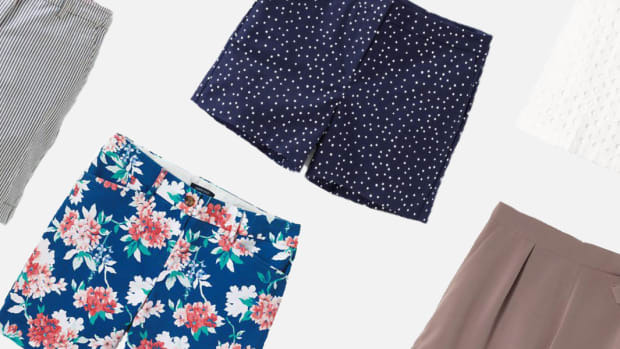 It’s finally time to ditch the jeans and break out the shorts! We’re ready to set our legs free and begin the search for the perfect summer short. If you’re in the same boat, you might be wondering where to even start. Finding a short for your body type is the first step, so we have a few tips to help you get there. 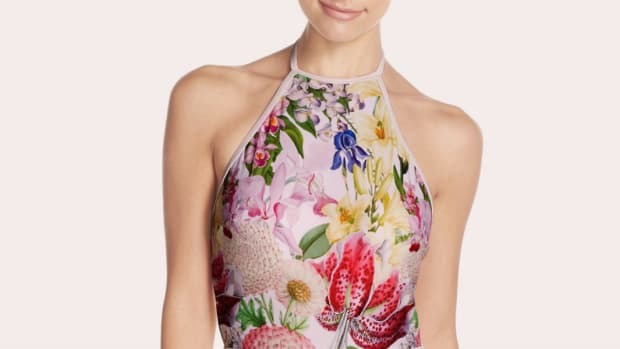 Find your body type below, and start shoppin’. A woman who is pear-shaped has the most width in her hips and thighs. 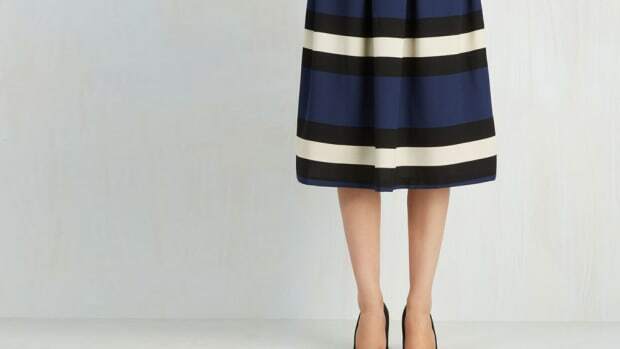 The key to finding the perfect pair is to choose a soft, loose fabric that has a similar silhouette to the midi skirt. This style will highlight your waist but won’t constrict your hips or thighs. If you have a heart-shaped body, you carry more weight in your torso and arms, while your hips and thighs are narrower. 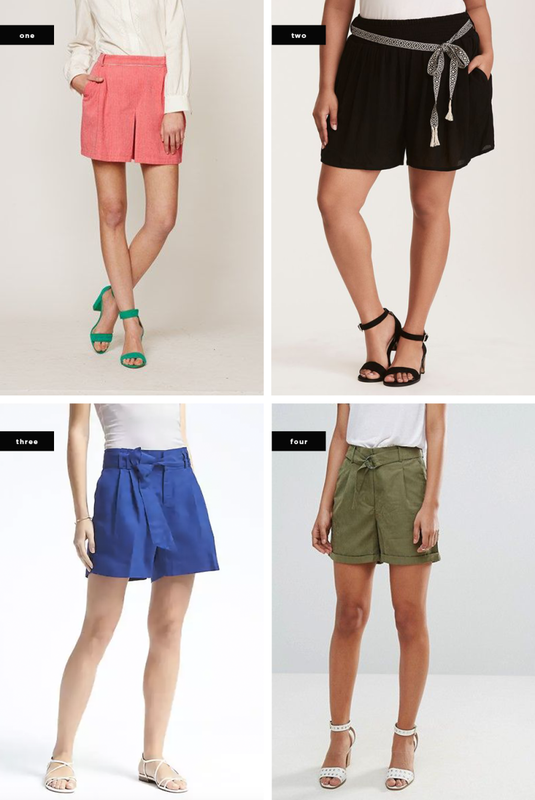 Rather than going for a pair of tight shorts, stick to the slouchier boyfriend fit that will add some volume to your lower half. 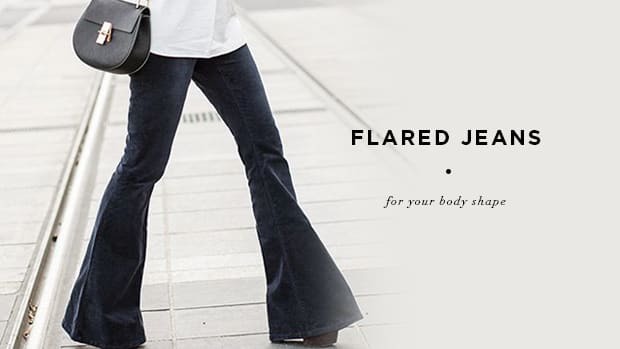 A mid-rise will provide just enough tummy coverage while elongating your legs. Stick to inseams around five inches, and avoid super-long lengths as the slouchy fit could start to look overwhelming rather than balanced. 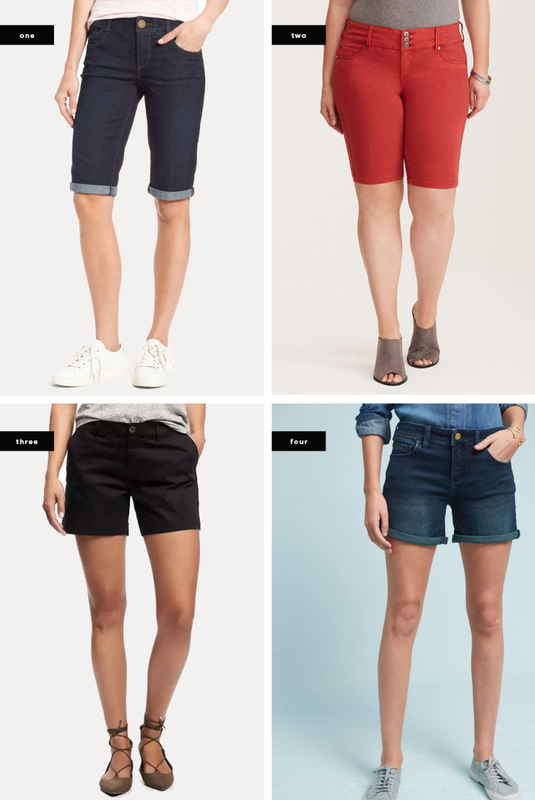 A rectangle body shape is often described as athletic or “straight up and down.” This makes short shopping easier for you because you’re not trying to find shorts that work with your curves. 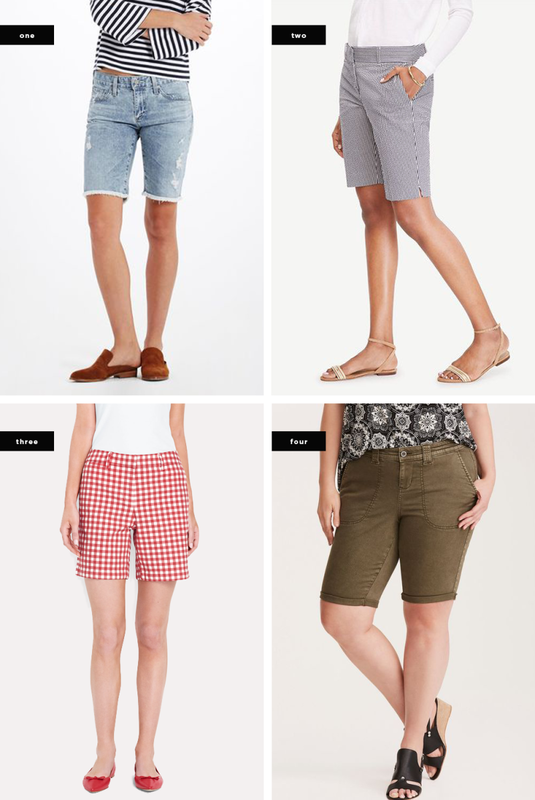 Bermuda shorts are ideal for your body type, as their shape perfectly follows your body lines. 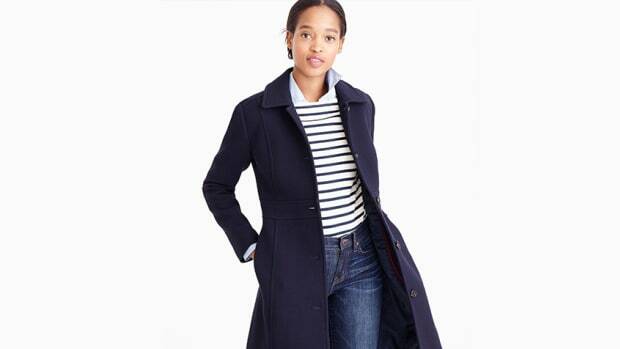 Plus, the form-fitting style will flatter your curves. 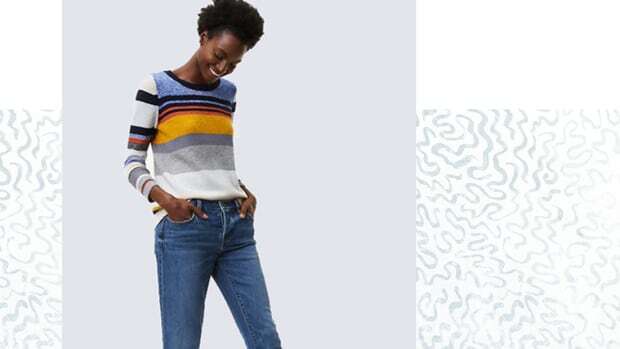 Low- to mid-rise waistlines are usually the most comfortable for the rectangle shape because the higher-rise styles tend to dig in at the waist. An hourglass figure has a bust and hips of equal proportion, which typically means a curvier silhouette. 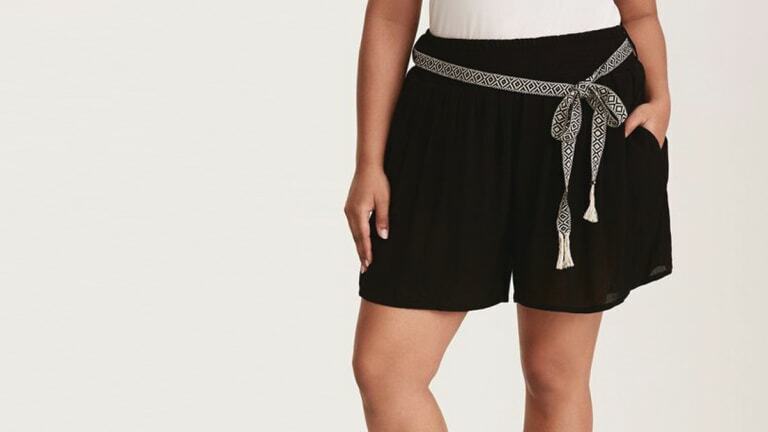 The goal is to find more form-fitting shorts in stretchy fabrics that hug the curves of your hips, thighs, and rear end so that you don’t have any bagging or bunching. 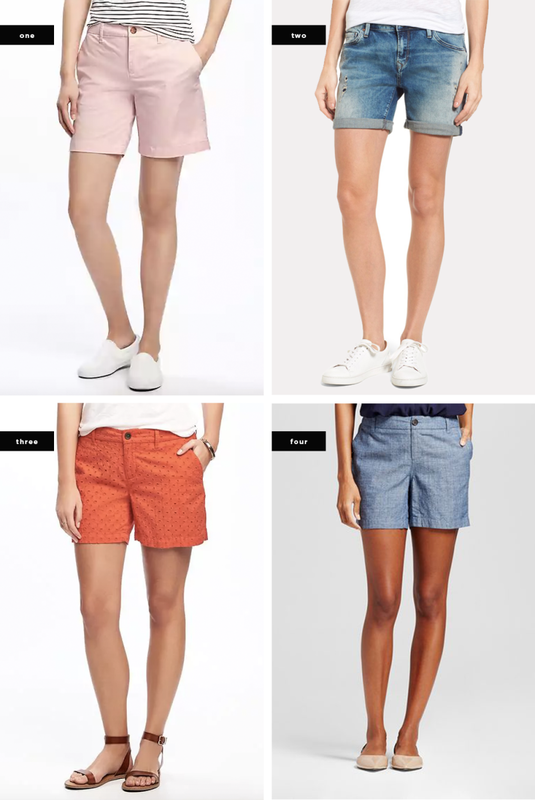 Look for shorts that are mid- or high-rise with a contoured waistband—this means they have been cut and sewn on a curve and will follow your body naturally. In terms of the legs, narrower cuts tend to be more flattering.